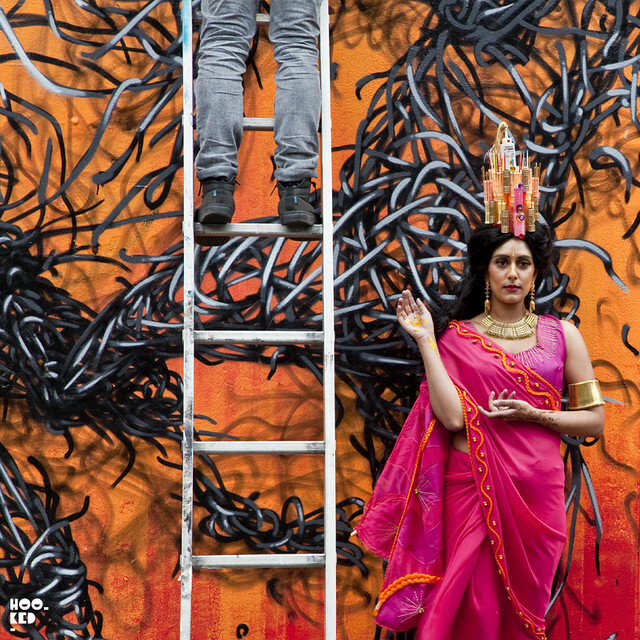 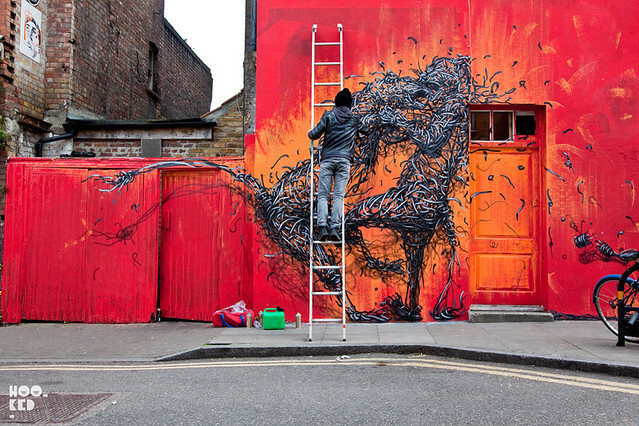 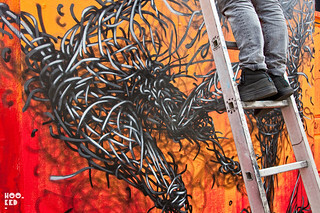 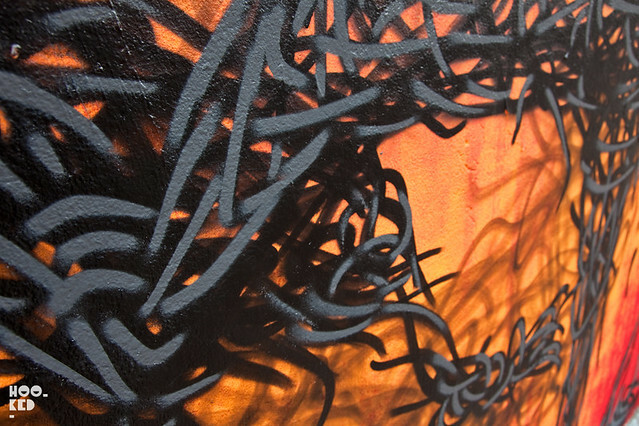 Chinese artist DALeast has been on fire since his arrival in London two weeks ago, painting non stop. 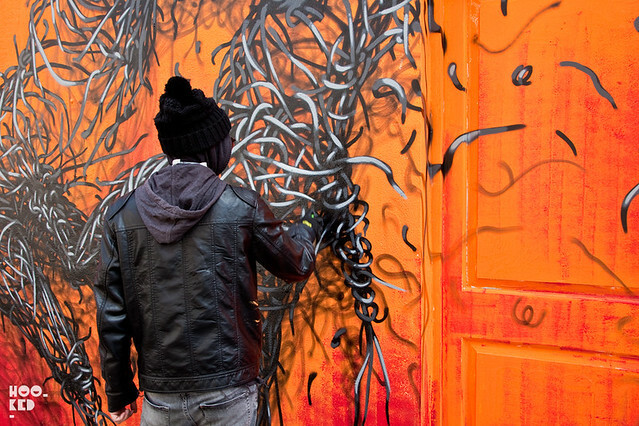 We have previous featured one of DALeast's additions to the East London streets featuring a leaping Tiger in the artist signature 3D style (covered here). 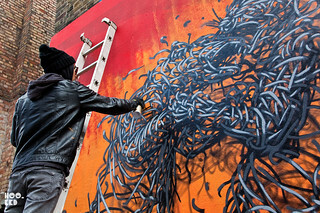 Another of his new murals located on the busy Hanbury Street, just off Brick Lane sees DALeast painting two large wild cats in battle, against a super vibrant red/orange background that makes this piece really pop!